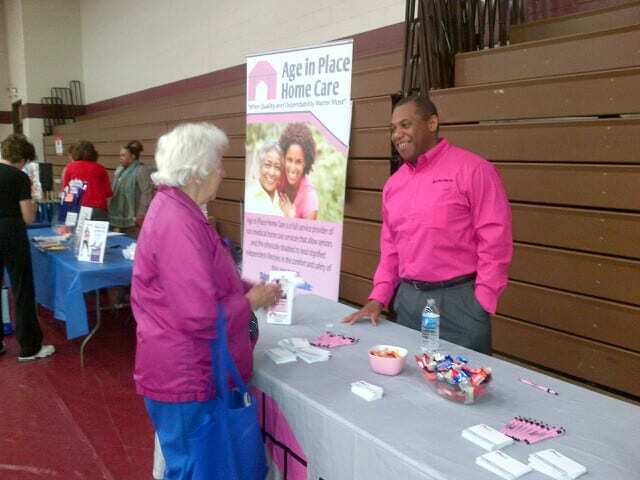 Age In Place Home Care once again participated in 29th annual Montgomery County Senior Games & Expo. The week long competitive events for Montgomery County senior adults (50 years of age and older) took place during the week of May 5th. These events originated with the Montgomery County Legislative Delegation and have had their continued support. Each year the games attract more and more participants and are an excellent annual program that combines sports, recreation and fellowship for senior citizens throughout Montgomery County. The Senior Expo was held on Friday, May 9th from 9:00am to 12:30pm, in the large gymnasium of the Montgomery County Community College. The Expo features businesses, products, information, and services geared toward the 50+ year-old athletes and their guests in attendance.